Despite the passing of an anti-slavery law in 2007, slavery remains widespread in Mauritania, particularly among the country’s large Haratine population. Those living in slavery are regularly beaten, intimidated, forcibly separated from their families and subjected to a range of other human rights violations, including sexual assault. Enforcing Mauritania’s Anti-Slavery Legislation: The Continued Failure of the Justice System to Prevent, Protect and Punish, a joint publication by Anti-Slavery International (ASI), Minority Rights Group International (MRG), Society for Threatened Peoples (STP) and the Unrepresented Nations and Peoples Organization (UNPO), outlines the systematic failures of Mauritania’s justice system to provide redress to slavery victims. Download the report in English, French or Arabic. 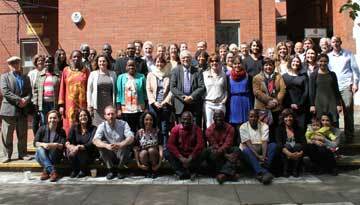 Download the Mauritania 2015 Anti-Slavery Law in English or French. 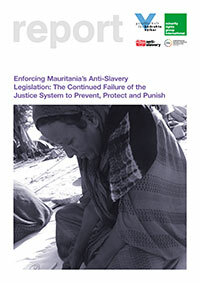 Download the Mauritania 2007 Anti-Slavery Law in English or French.